How Much Compensation Can I Claim For A Leisure Centre Accident? When we go to a leisure centre, we expect to get fit and have fun. No matter whether you’re going to enjoy the gym, taking your children to a swimming class, or anything else, you should be provided with an environment that is completely safe and healthy. If the leisure centre has failed in their duty to provide you with this, and you or your child has been injured as a consequence, you deserve to be compensation. This is where Legal Expert comes in. We have many years of experience in leisure centre accident claims and we can help you to get the compensation you deserve. What is a leisure centre accident? Leisure centre car park accidents – Can I claim? 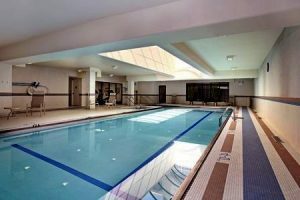 Leisure centre swimming pool accidents – Can I claim compensation? Slip trip and fall leisure centre accidents – Do I have a claim? What can I claim for after a leisure centre accident? How much can I claim for by making a leisure centre accident claim? Why choose us as your claims service for leisure centre accident claims? If you have been injured while visiting or working at a leisure centre, it is important to make sure you get the compensation you deserve. The same applies for children injured at a leisure centre. Parents can claim on their kid’s behalf too. In this guide, we reveal everything you need to know about securing leisure centre and gym injury compensation. This includes everything from the most common types of accidents and how to launch a claim to payout amounts and gathering evidence. If you have any questions by the time you finish reading this guide, please do not hesitate to call us to find out more. A leisure centre accident is any type of accident that happens while at this type of facility. This can be anything from a swimming pool accident to an incident involving an employee of the leisure centre. So long as the accident in question was not your fault, you will be able to claim. Please note that your injury does not have to be stated in the list above in order to claim. This list is merely to provide you with some examples of common accidents. If you sustained an injury in any other type of accident at the leisure centre, then do not hesitate to ask us if you may have a claim. A lot of people do not realise that they can make a claim against leisure centres if they have been injured in the car park. However, leisure centres are responsible for all areas of their business, including the car park. So, if you have been injured because of a broken pavement in the car park, for example, please give us a call. We can also launch a claim against a driver that has caused you suffering by crashing into you in the car park. This does not necessarily fall under leisure centre accident claims, as it’s the other driver that is at fault, not the business. Nonetheless, we specialise in road traffic accident claims too and so we can certainly assist. There are many different types of accidents that can happen at leisure centre swimming pools. If you or your child has been injured in a swimming pool and it was not your fault, you can make a claim for compensation. There are a number of ways the leisure centre could be at fault. This includes not having the correct supervision in the form of adequately trained lifeguards, as well as failing to maintain the swimming pool correctly, which could lead to illness. Other possibilities include hazards around the swimming pool, as well as broken tiles and insufficient access for getting in and out of the pool. High levels of health and safety need to be maintained in such environments. Failure to maintain such high levels of safety need to be addressed and you deserve justice in the form of a compensation payout. Leisure centre slips trips and falls are certainly quite common. The key in these claims is being able to prove that the leisure centre is to blame. If you have fallen over because you were being clumsy, then you won’t be entitled to compensation. However, if the leisure centre failed to adequately mark a wet floor, you may have the grounds for compensation. Also, don’t forget that a leisure centre car park accident will also be covered. After all, the company is responsible for this area of their business too, even though it is outside. If you have fallen because of a pothole or a broken pavement, there is a high chance you will be entitled to a payout. We do not only help people that have been visiting leisure centres to make a claim, we have also helped many employees that have been the victims of leisure centre accidents at work. After all, all employers have a duty to provide a safe and healthy working environment for their staff. If they have failed to do this, and you have been injured as a consequence, you most certainly have the grounds to make a claim. When it comes to leisure centre accident claims for employees, there are a number of ways that your employer could be to blame. For example, they may have failed to carry out risk assessments, they may have ignored the findings in risk assessments, they may not have provided you with the correct personal protective equipment, they may have given inadequate training, or they may have encouraged you to use facilities and equipment that was broken without you realising. These are just a few examples. If you are unsure as to whether you have the basis for a claim, please do not hesitate to give us a call. Make a note of everything that happened – You should do this at the earliest opportunity, as it will make sure you do not forget any details later down the line. After all, you never know what could turn out to be important or what elements could be in breach of health and safety rules. Get witness details – Did anyone witness the accident you were involved in? If so, you should make an effort to get their contact information. This includes their name, address and telephone number. This is because witness statements can really help to prove your account of things. Take photos of the accident location – If there is any damage at the scene that will prove what has happened to you, make sure you take some photographs. If your injuries are visible, it is also a good idea to take photos of them too. Keep proof of any expenses – You will be able to claim for any out-of-pocket expenses that you have been subjected to in the form of special damages. This includes anything from travel costs and loss of income to the cost of counselling and childcare expenses. However, to claim for all of this, you are going to need proof, so please hold onto receipts and any other documents that are relevant. When it comes to making leisure centre accident claims, the only thing you need to do is give us a call. You can find our contact information at the end of this guide. Give us a ring today and you will speak to an experienced and friendly advisor. They will begin every new client relationship with a free consultancy, which is essentially a fact-finding session. We will find out all of the information about the accident so that we can advise you in the best possible manner. This is also the perfect opportunity for you to ask any queries you have. This is a no-obligation service. Nonetheless, if you do proceed, you will be pleased to know that all of our leisure centre injury compensation claims are handled on a No Win No Fee basis. You can also find out more about this below. Plus, if you need a local medical, we can arrange this for you free of charge if required. General damages – This refers to the compensation you will be awarded for the suffering and pain you have experienced. Loss of earnings – You can claim for any earnings you have lost, which can include any future earnings you are likely to lose too. Care claim – If you have required help around the house while you recover from your injuries, the person that has assisted you can file a care claim. How much can I claim for a leisure centre accident? This is one question that most people wish to know the answer to. In the table below, you will see an overview of the most common leisure centre related injuries, as well as the typical payout amount. Please note that all figures are estimates. It is completely impossible to provide people with an accurate figure of how much money they will get. This is because each case is complete unique. There are so many factors to take into account. Therefore, no solicitor can ever promise you a certain amount, so please don’t pin your hopes on this if another firm claims that they can secure you ‘x’ amount. Moreover, if you do not find the injury you have sustained in the table below, don’t fret. All you need to do is give us a call and we will explain further. Anguish - Mental £3,550 The expectation of the person claiming’s end of life as well as their fear of their death. Pain/Suffering £1,000 to £200,000 The amount of suffering/pain you have been subjected to will determine the payout that you receive. Loss of wages/earning (anticipated) £10,000 - £400,000 If you are going to miss work on an ongoing basis while you recover from your injuries, you can claim for this. The calculation for this is worked out based on what you currently earn, as well as what you could potentially earn in the future. In some instances, claimants can receive more than the highest amount that has been stated. Loss of benefits £5,000 - £500,000 If you have missed work due to your injuries, you can claim for the income you have lost. In some instances, claimants can receive more than the maximum that has been stated. Shoulder injuries – Severe £14,600 - £36,500 These injuries tend to include damage to the brachial plexus, as well as injuries that are linked to the neck, resulting in severe disability. Shoulder injuries – Serious £9,700 - £14,600 Individuals that fall into this category will have experienced severe pain in their shoulder and neck. In most cases, this is because of damage to the lower part of the brachial plexus, or dislocation of the shoulder Other symptoms include weakness of grip and sensory symptoms in the hand and forearm. Shoulder injuries – Moderate £6,000 - £9,700 The person will have limited movement and discomfort in their shoulder. Symptoms tend to last for two years. This can either be soft tissue injuries or a frozen shoulder. Shoulder injuries – Minor (Recovery in less than two years) £3,300 - £6,000 The individual will experience a significant amount of pain due to a soft tissue injury. However, they will make a full recovery. Shoulder injuries – Minor (Recovery within a year) £1,860 - £3,300 The individual will experience a significant amount of pain due to a soft tissue injury. However, they will make a full recovery. Shoulder injuries – Minor (Recovery within three months) A few hundred pounds - £1,860 The individual will experience a significant amount of pain due to a soft tissue injury. However, they will make a full recovery. Arm injuries – Severe injuries £73,100 - £99,500 This relates to injuries that are extremely serious. However, they fall short of amputation. Nonetheless, the person that has been injured will be little better off than if they had lost their arm. Arm injuries – Injuries resulting in substantial and permanent disablement £29,800 - £45,500 In such cases, the person will experience significant permanent residual disability, with serious fractures to both forearms or one forearm. Arm injuries – Less severe injuries £11,900 - £24,350 Injuries that have caused function impairment, but do not cause significant disability or require major surgery. Minor injuries (A) £1,050 - £1,860 This refers to injuries whereby the claimant makes a full recovery within three months. Minor injuries (B) £525 - £1,050 This refers to injuries whereby the claimant makes a full recovery within 28 days. Minor injuries (C) A few hundred pounds - £525 This refers to injuries whereby the claimant makes a full recovery within seven days. An important thing to remember about our service is that we handle all leisure centre injury claims under No Win No Fee agreements. This may be a term that you have heard about previously, yet you might not be completely sure exactly what it entails. Let us tell you. It’s really simple! Basically, if we do not manage to ensure a compensation award for you, you won’t owe us any legal fees. This ensures that you are financially protected at all times throughout the claim process. You are never going to be in the position in which you don’t have any compensation but you have a monumental legal bill to fund. This won’t happen with us; you can be sure. This also leads to a number of other advantages that are worth mentioning too. For example, you can be sure that we will never give you false hope. We will only take your case forward to submit a claim if we believe it has a genuine chance of securing compensation. We understand that picking a personal injury law firm is a huge decision for you. You can rest assured that you are in safe hands when you turn to Legal Expert for your leisure centre accident claim. We have a lot of experience in leisure centre accident claims, and have helped many personal injury victims to get the maximum amount of compensation they deserve. We will assign a specialist solicitor to your case, giving you the greatest chance of the highest payout. Not only this, but we will always put your needs first. We are fully aware that this is an incredibly difficult time for you. We don’t want you to worry about your claim. We hope by taking stress from you, you can put your focus on getting better. We will handle everything else for you, and we will do so in an efficient and effective manner. Whether you have been injured while working at a leisure centre or being the customer of a leisure centre, all you need to do is ring us for more information. You can reach the team at Legal Expert on 0800 073 8804. We will be more than happy to answer all of your questions, as well as informing you more about the claims process if you are unsure of anything. Please don’t hesitate to get in touch. You can rest assured that our team will handle each call confidently. This leads you to the UK Government’s Health and Safety Executive website. Here you will be able to view information on health and safety for leisure activities, including the law on this matter. For insightful accident statistics, look no further. You will be able to view data on home and leisure accident statistics that have come from the Home and Leisure Accident Surveillance web database. This link takes you to the NHS guide on sporting injuries. This includes details on what causes sports injuries, what to do if you have such an injury, how to prevent sports injuries, as well as advice on treating a sports injury. Accident at work – How much can I claim? This is an updated guide on accident at work claims. You can find out how much compensation you may be entitled to. This is useful for those that have been injured while they were working at a leisure centre.